Nowadays, depression and anxiety are increasingly common. One of the reasons I see behind it, is today’s loss of references. Everything has become relative. Political correctness killed right or wrong, better or worse. Ideology like the gender theory attacks the very foundation of our identity as it became incorrect to define ourselves as a man or a woman. From levelling any notion of superiority in an ideal quest for equality, we get to the point to erase any notion of difference. The repercussions are even more difficult to resist with a lot of people being isolated and deprived of their social support. Individualism per se is not necessarily a bad thing, but it comes with a package, of which we should be aware. For example, the painful feeling of loneliness, which is to be distinguished from the solitary pleasure of being alone, touches more and more people. Despite the official discourse, we have seen a global decline in education quality. Universities train technicians to sustain our system instead of nurturing bright minds who will re-invent our world and improve it. Critical thinking or thinking out of the box is not encouraged. I’ve seen how PhD students are not encouraged to innovate, but to stay confined to their directors’ research project and just follow the trends. There is an acceleration because the pace we can allow ourselves to absorb stimuli is getting shorter and shorter as we are constantly bombarded by a flow of information. For example, when we watch an old movie, it becomes quickly annoying as the pace is too slow compared to what we are used today. All of the above result in a kind of alienation. Even our personality type, another foundation of who we are, is now re-labeled as personality disorders by the American Psychological Association. It is alienation for all. They even have the medications to treat your condition. It reminds me of the good old days of the communist era where all dissidents were sent to mental asylums. Don’t dare to think by yourself, don’t dare to think out of the box, don’t dare to escape the orthodox thinking, or you will be labeled as weird and ostracized. The process of civilization is a process of domestication, but we get far too disconnected from nature. Not only disconnected from environmental nature as we live in urban environment, but worse we get disconnected from our own nature. We mainly live in our head, in our projections for the future or our ruminations of the past, unaware of our feelings, alienated from our true-self. We want to keep the flower but we cut the roots that give it its life energy. When can we know that our mind is no longer fully in our control? Our mind is NEVER under our control, NEVER. The iceberg is a good illustration here as the tiny part that we see floating above the surface, the conscious to which we have access, is only a fraction of our mind. Part of the problematic that I encounter with my patients is around that acceptation of “let go”, “letting go” of this impossible control. When do we need to seek help? We need to seek help when we suffer, when we are unhappy for too long, unable to find pleasure in life anymore. Sometimes people say they feel like they live through a tunnel, or that they feel like zombies detached of their feelings. All kind of habits can be used in excess to lessen feelings: alcohol, drugs – legal or illegal -, sleep-deprivation, losing ourselves in our work or intensive sport program, TV, computer games, etc. Anything that can keep us occupied otherwise and allows us to forget ourselves. However, you don’t need to wait to be in such bad place to seek professional help. How about seeking help for others? We can advise a loved one or a colleague to consult, but only the person concerned can do the necessary work. So she has to be willing, she has to have the desire to change to feel better. The psychotherapist can work with the patient like a temporary crutch until his patient recovers his balance. Ultimately my goal is to give my patients the means to help themselves, to enjoy life again, and carry on their life projects with renewed energy. How to better take care of our mind? The first thing would be to better understand our functioning. I believe, the Affect model that I presented proves to be a practical tool in that regard as it also offers how we can improve. The second would be to develop our knowledge and maturity through introspection and meditation to regain our balance. On that subject, I want to add that compassion is not an entry door, but a consequence. It is only when we understand and viscerally believe in the common nature of our true-self that we can feel the commonality between all lives. What proven ways can we practice on our own? The Three Breathings technique is an easy practice that one can use at anytime and anywhere. Breathing slowly and deeply with your belly, inhaling and exhaling through your nose. Feel the breath in your body, hold it for a count of two. Similarly, feel your body when you have exhaled and hold for an instant before inhaling again. Meditating, as regularly as possible, is like a shower for our mind. When we grow up, we acquire new concepts and we develop a space in your mind where you can play with them through our thinking. Meditation helps us to develop an affect space, where you can see your feeling independently of our self. We can see our sadness or our anger, and take some distance from them. That allows us to take a step back, analyze our feelings, without letting them guide us in a hasty way. Taking time, slowing down for introspection, for loving our self, accepting our strengths and limitations, accepting that we are human, so that we may enjoy life’s small everyday pleasures. What is the difference between psychology and psychotherapy? Psychology is a set of theories on the functioning of the mind. It is a tool for a practitioner, like me as a psychotherapist. Mindfulness is another tool that is now introduced in schools across the globe, also in Singapore. It has proved to help children to feel calmer and more focused during their classes, with better grades as a result. More and more businesses also understand the positive impact it can have on their employees’ performance and hence their company’s bottom-line. I have developed my own programs to tackle employees’ mental health through Awareness, Mindfulness and Visualization trainings, and a Gratitude practice. I hope that I helped you to better understand your functioning and how you can use meditation to help yourself, or when you could benefit from psychotherapy. 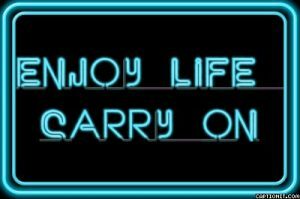 Enjoy life and carry on!